Tricks of the mind continue to fascinate humans. Just recently, internet users were dumbfounded by this visual that suddenly conjures an animal by shaking your head, as well as this audio clip from Sesame Street that sounds as if ‘Grover’ is cussing. Here’s another illusion to throw you off-kilter. Redditors are perturbed by an animated spiral that makes objects in the real world look as if they’re gyrating. Simply fixate on the clip, shown below, for about 30 seconds, before glancing at an object near you. “Well, that’s acid for you,” comments user ‘kraenk12’. “[It’s] pretty much what you see while on acid,” agrees ‘coolhwip89’. Is this the real life? Or is it just fantasy? 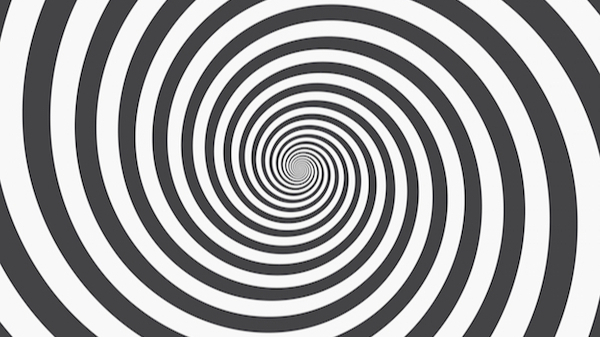 Check out the trippy visual illusion below.